Baby, girls, women's St. Patrick's Day green and gold tutu. 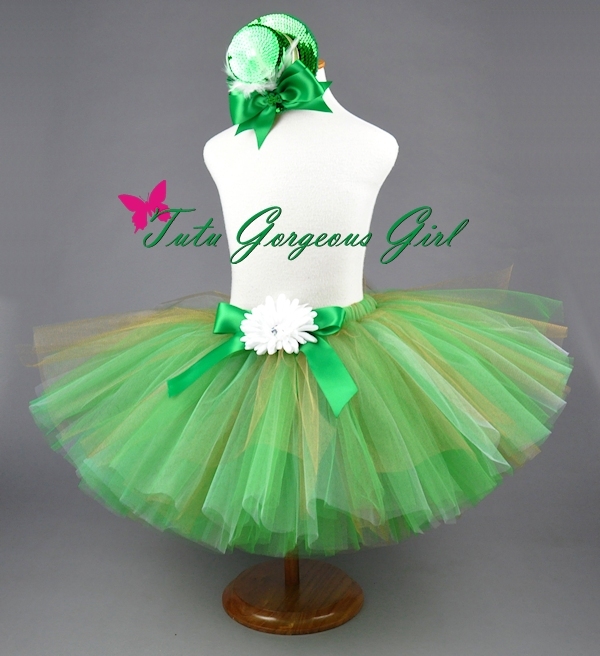 This St. Patrick's Day tutu is made with a beautiful combination of colors - emerald green, shimmering gold and white. Tutu includes a satin bow at the waist and optional flower clip and stretch headband. Mini top hat shown is sold separately here.